Charles Nelson Castagna - Mediator & Arbitrator based in Clearwater, Florida. In 1990 he formed Charles N. Castagna, P.A, where he established a general civil practice, including mediation and arbitration. By 1992 his practice had shifted primarily to mediation and in 1994 he formed and became president of the Mediation Center of Tampa Bay, Inc., now known as Charles N. Castagna Mediation, Inc. Since then he has been a full-time Circuit, Family and Federal Court Mediator, and has now conducted more than 3,000 mediation hearings. 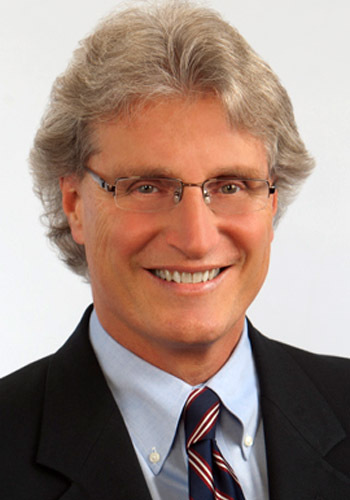 His mediation experience includes civil rights, commercial, condominium, construction, contract, corporate, employment/non-compete, family law (all issues), franchise disputes, insurance coverage and bad faith, personal injury and wrongful death, premises and product liability, probate, professional liability (accounting, dental, legal and medical), real estate and securities (NASD Mediation Panel Member). He has also been selected as an Independent Appeals Committee Reviewer, Policyholder Remediation Plan for Prudential Policyholders (administered by the Collins Center for Public Policy, Inc.). He served as a member of the Florida Supreme Court Standing Committee on Mediation and Arbitration Rules from 1993 - 2001, as a member of the Mediator Ethics Advisory Committee (MEAC) from 2010 - 2018, as a member of the ADR Rules and Policy Committee from 2018 - present, as President of the Florida Association of Professional Family Mediators (2000-2002) and President of the Florida Academy of Professional Mediators (Academy) 2002 - 2004. Based on his extensive mediation experience and advanced training, he has attained Diplomate status in the Academy. Mr. Castagna has been selected as a Leading Florida Attorney in the area of Alternative Dispute Resolution. He is also the recipient of the 13th Judicial Circuit Mediation and Diversion Services Outstanding Family Mediator Award and has been selected for inclusion in the 13th Edition of Who s Who in American Law. After graduating from the Florida State University College of Law in 1980, Mr. Castagna served the Florida Supreme Court for two years as a law clerk to the Honorable James C Adkins, Jr.
Charles has also been selected as an Independent Appeals Committee Reviewer, Policyholder Remediation Plan for Prudential Policyholders (administered by the Collins Center for Public Policy, Inc.). He served as a member of the Florida Supreme Court Standing Committee on Mediation and Arbitration Rules from 1993 - 2001, as President of the Florida Association of Professional Family Mediators (2000-2002) and President of the Florida Academy of Professional Mediators (Academy) 2002 - 2004. Based on his extensive mediation experience and advanced training, he has attained **DIPLOMATE** status in the Academy.